First Impression: Put a star on top of the tree, the Yoga Zone way! Second Impression: No, it’s not too early. It’s Thanksgiving Eve! 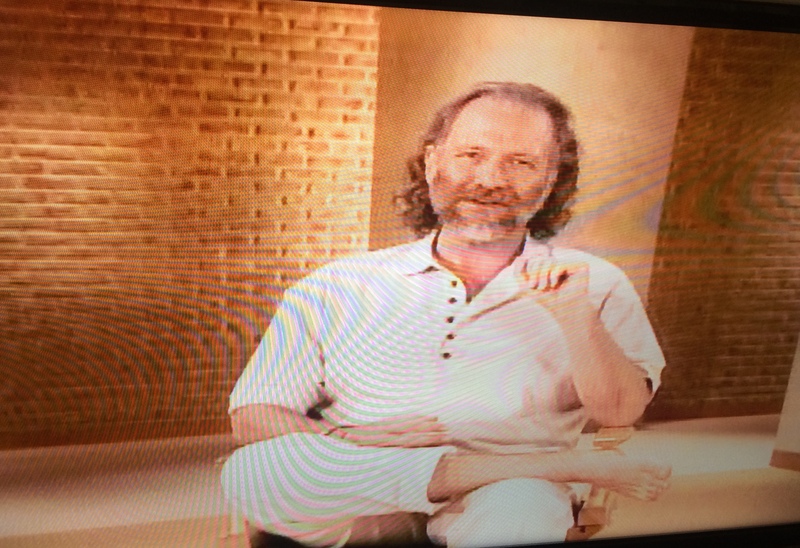 Although he dresses like a computer programmer on Casual Friday, the Yogiraj adheres to the yoga principle of all bare feet, all the time. The sight of old man feet in a state of dishabille fills even the most stalwart yogini with a palpable feeling of dread. But Mr. Finger’s feet are not hobbit-like, nor are they corn-ridden, nor are they yellow of nail. Nay, the feet of this yoga master are as pleasingly smooth and depilated as anyone could wish. None of this pseudo-scientific woo woo is ever positive or encouraging. If someone were to say to me, “your unsightly, floor-scraping bunions signify your ability to tread lightly on the feelings of others,” I would be delighted. This entry was posted in Reviews and tagged 60 minutes, abs, relaxing, strange, talky, yoga. Bookmark the permalink.